I guess I’m what you’d call an anti-hoarder. I love to get rid of things. Whether I donate them to charity, sell them on eBay, gift them to friends, or send them straight to the bin, I just can’t stand having useless things around me. So, you will know I only carry my most useful travel items. That means my backpack contains only what I think is necessary for work and travel. 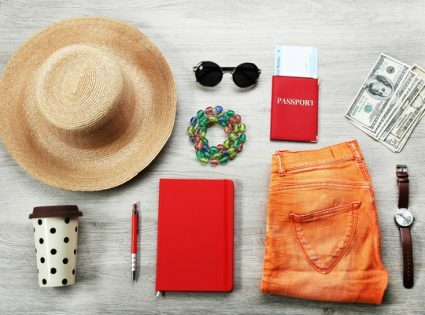 Of course, it has taken many months on the road to get it to this state, so I thought I’d share my top 5 most AND least items for travel. This is the usual argument for using a bigger backpack and keeping more items. I’ve rarely had this thought, so can’t really give advice on it. All I can say is you can buy the most necessary stuff cheaply in most countries. My biggest mistake was in Bolivia. As I repacked my bag for another move, I questioned each and every item I owned. I looked at my Australian power adapters, thought to myself, ‘Ha, it’s going to be a long time until I return home’, and then binned them all. Fast forward 24 hours, after a long bus ride into Argentina, and there I am, unpacking my bag hoping to pull out my laptop to check my email. Completely aghast, I notice that Argentina, for some extremely frustrating reason, has the same power outlet configuration as Australia. After a string of expletives, we spent the next 4 hours looking for adapters. Of course, it was siesta time and everything was closed. But this rarely happens, and not nearly enough to carry ‘seemingly’ useless items. A Pair of Jeans – Many travel websites warn you against traveling with jeans. I agree when it comes to mountaineering, but for most other trips, jeans are bulletproof. If you like them at home, then why leave them there? Technical travel clothing can be a real pain, especially when you don’t feel yourself in it. Rain Jacket – A functional rain jacket can double as a wind stopper, which is especially useful in cold climates. They’re good for rain too. We’ve spent almost a month in up to -20C temps with mostly summer clothes and a rain jacket. Skype Software – It’s cheap, universal, easy, and doesn’t weigh a thing. We call Australia for about 2 cents per minute from anywhere in the world. That’s cheaper than most local calls I’d make in my own city using a traditional phone. As you convert people back home to Skype, you’ll enjoy lots of video of them (and their pets) on a regular basis. Thin Notepad and Short Pen – Okay, that’s two items, but they’re useful as a pair. Make sure the notepad is thin, small and has flexible covers. And make sure the pen is short, thick, with a good pocket clip for your jeans. Here’s my favorite Moleskine for the job. Semi-dress Shirt – Have your favorite dress shirt altered by a tailor to be a little more casual before you leave home. You can then use it for weddings, business meetings and the odd night out at a trendy bar or restaurant. Cell Phone – our last post (a review of the HTC Desire HD vs iPhone 4) was all about buying a new smartphone. So this may come as a surprise: we very very very rarely (i.e. never) use the phone features. With Skype being miles cheaper, a cell phone is probably the most useless thing I’ve carried for the longest period. Sleeping Bag – after the phone, my sleeping bag is the next most useless thing I’ve carried for the longest period. Unless you’re camping regularly, it’s not needed. You can hire them in most places for $20. 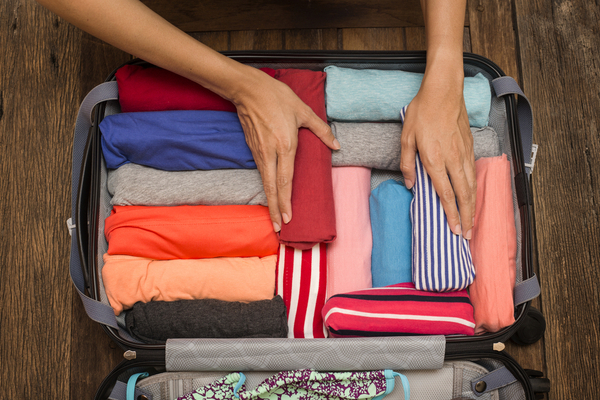 Which is a small price to pay for carry-on baggage bliss? They’re simply too big and heavy for the amount of utility they provide the average traveler. Rain pants – not nearly as useful as a rain jacket, and the pants are never with you when it matters. There are some exceptions, like long treks in wet areas, but for most travel, they’re way in excess of needs. Business Cards – Biggest waste of money, even though we arguably have the coolest business cars on planet Earth. They serve no other purpose than providing personal details, which a notebook/pen can do, in addition to many other things. Anything Designed for Travel – except for my backpack, most of my travel-specific items have become newly acquainted with the bin. That includes luggage locks, passport holders, airplane paraphernalia, travel clothing, travel food, copies of documents, day packs, whistle (ha! ), maps, guidebooks, etc.